Our mentors are friendly, experienced MIPS Assembly developers who will help teach you new techniques and tricks. li      $v0, 0                  # Reset accumulator to 0.
beq     $t0, $zero, end         # if it is null then return. or      $v0, $v0, $t1           # and add that to the accumulator. j       loop                    # and loop. 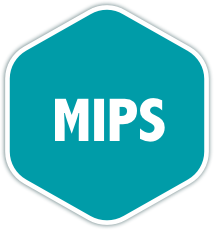 MIPS is a reduced instruction set computer (RISC) instruction set architecture, currently used mostly in video game consoles and routers. It is also a popular architecture in introductory courses and textbooks on computer architecture, due to its simplicity relative to x86 and ARM. Here we use the 32-bit instruction set; a 64-bit instruction set also exists. This track involves programming in MIPS assembly language, assembled and run on a cross-platform simulator. I'm having a ton of fun doing it. I'm a newcomer to exercism.io. I've been working as a systems engineer for about a year and I've been putting off learning assembly properly (I don't have a degree). I've been doing the MIPS track and not only do I feel like I am really increasing my level of insight into the inner workings of the machine, I'm having a ton of fun doing it. Thank you so much to everyone who is putting work into this. These are a few of the 14 exercises on the MIPS Assembly track. You can see all the exercises here. The MIPS Assembly Maintainers are the brains behind the MIPS Assembly Track. They spend their spare time creating interesting and challenging exercises that we can all learn from. We are incredibly grateful for their hard work. Here are the bios of a few of the maintainers of this track. Get started with the MIPS Assembly track. As with everything on Exercism, it's 100% free!